Christian Hebraist; born in 1600 at Hilton, Yorkshire, England; died in London Nov. 29, 1661; educated at Magdalene and Peterhouse colleges, Cambridge. He became a London clergyman and was involved in the question of tithes raised by John Selden, but was appointed king's chaplain, and, after being imprisoned by the Parliamentarians, went to Oxford to join the king. There he formed the project of issuing a polyglot Bible, better and cheaper than the one that had appeared at Paris as late as the year 1645. In 1652 he issued a circular on the subject, and subscriptions were obtained under the patronage of Selden and Ussher. The work, which was in six volumes, was published between 1654 and 1657 in nine languages, though no single book appears with more than eight versions. 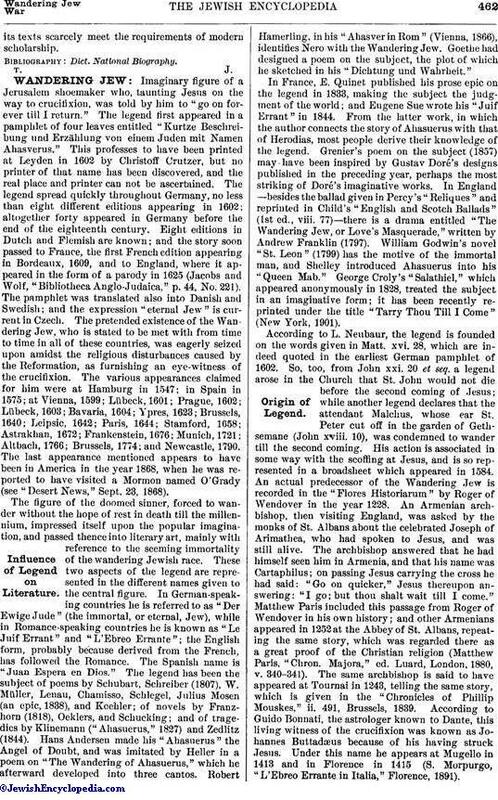 Much of the work was done by Castell, who compiled the Heptaglot Lexicon as a supplement to the Polyglot. 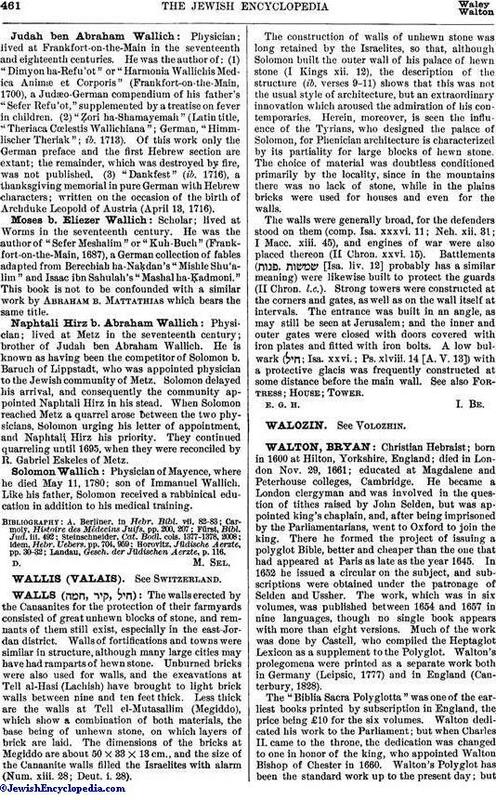 Walton's prolegomena were printed as a separate work both in Germany (Leipsic, 1777) and in England (Canterbury, 1828). The "Biblia Sacra Polyglotta" was one of the earliest books printed by subscription in England, the price being £10 for the six volumes. Walton dedicated his work to the Parliament; but when Charles II. came to the throne, the dedication was changed to one in honor of the king, who appointed Walton Bishop of Chester in 1660. Walton's Polyglot has been the standard work up to the present day; butits texts scarcely meet the requirements of modern scholarship.